In the last several months, the shifting socio-cultural landscape of the San Francisco Bay Area has become the focus of the international media, primarily in response to the rise of new technology and its aftereffects. Protests over tech commuter buses as potent symbols of gentrification and displacement, and scuffles among strangers in public spaces over Google Glass and its invasive surveillance technology have become San Francisco icons in the media. Suddenly, all eyes are on San Francisco as the center -- or, perhaps, epicenter -- of technology's quaking authority over the 21st-century global community. In this regard, the city of San Francisco (really the greater Bay Area) has become a test case on the impact of rapidly escalating, brand-spanking-new wealth and its relationship to new technologies, privacy, public resources and social infrastructures. San Francisco has become a cautionary tale: Everything happening here can happen wherever else technology companies are setting up shop, which is everywhere. This article is the first in a series that will explore how this shifting terrain is dramatically impacting the livelihood of artists. But, first, why should anyone care that the Bay Area is changing? So what if some tech entrepreneurs are sitting pretty with the 1%? Wealth disparity is nothing new, and cities change all the time: people leave, people arrive, businesses launch, businesses fail. It's all a cycle. Even this current dot boom is part of a cycle of booms and busts in a community long focused on booming. And yet this time is different, in part because of the devastating impact new wealth is rendering on the fragile infrastructure of San Francisco's homegrown art scene and its artists, as well as small businesses, nonprofits, advocacy organizations, lower income communities, families with children, immigrants, the mentally ill and homeless, and the generally disenfranchised. Recently Rena Bransten, George Krevsky, and Patricia Sweetow Galleries were priced out of their downtown locations at 77 Geary. Still others have closed in the past few years, including Don Soker (evicted and looking for a new space), Eli Ridgway, Guerrero Gallery, Marx & Zavaterro, Michael Rosenthal, Togonon Gallery, Triple Base, and Queens Nails. In Oakland, Mama Buzz closed in 2012, Swarm Gallery shuttered last year and Hatch Gallery announced its eviction this month. The absence of these physical spaces is a loss in the larger scheme of things, whether the individual galleries were popular or not. Galleries offer culture, community gathering spaces, and space for discourse, while exporting local artists and importing new ideas -- all free to the viewer. In a conversation for this article, recent Guggenheim Fellow artist Michael Arcega, formerly represented by Marx & Zavattero, speaks of a familial sense of loss in the wake of the gallery's closing, "So long as I kept making work that was relevant, they supported me and made an effort to create a support structure for my work. It's very different now without that." Recently several prominent galleries have also relocated away from walk-able, BART-adjacent areas of downtown to less accessible reaches of the city in Potrero Hill, including Brian Gross, Catharine Clark, George Lawson, Jack Fisher, and Hosfelt galleries. Adobe Books, and the eponymous Adobe Books Backroom gallery, relocated after an extensive rent hike last year. The Thing Quarterly owners Jonn Herschend and Will Rogan contemplated going out of business after losing their lease and finding rental prices untenable in the Mission. They ended up finding new offices in the Tenderloin. Several nonprofit organizations have also recently dissolved, including the Museum of Craft & Folk Art, Cell Space, and Visual Aid. Going back only slightly further in cultural memory, one could even consider San Francisco's New Langton Arts or Oakland's 21 Grand in this list; though perhaps not direct casualties of the tech boom, their respective closures heralded an indifference to the demise of smaller art organizations that is now commonplace culturally. These shifts in the art scene are exacerbated by the absence of the San Francisco Museum of Modern Art (closed for renovation until 2016), the San Francisco Arts Commission Main Gallery (closed for renovations until 2015), and the pending closure of the Berkeley Art Museum and Pacific Film Archive later this year (for relocation, also to reopen in 2015). It is an astonishing amount of change in the Bay Area's compact art scene, especially as these changes also represent a significant number of artists' exhibitions and public events suspended or cancelled during transitions, while still other artists are without representation altogether. The art community is an ecosystem that survives on the health of the commercial galleries. It is, to be blunt, how many artists make a living and promote their work. If you care about living in a community of art and artists, the health of the whole scene matters. 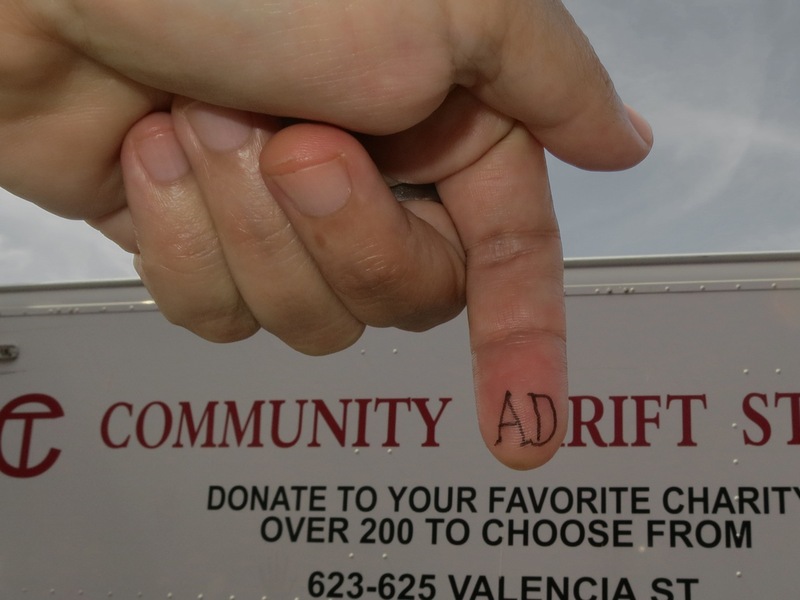 The ripple effect of losing commercial galleries is that nonprofit organizations also receive less support and this then jeopardizes opportunities for artists to make art, eclipsing art at the grassroots level. Notable here is a consideration of the type of organizations that have been compromised -- for the most part, these are experimental venues that offer platforms for new and challenging contemporary art by living artists. There has been no surge of new spaces to fill their absences. The most prominent "arts organizations" formed in the wake of tech wealth have been notably privatized and pointedly pitched at the wealthy elite, such as the members-only Battery. Last October, San Francisco-based writer Anisse Grosse wrote in the New Yorker that response to the spectacle of the Battery's opening reflected "the bigger issue at hand: San Francisco itself is turning into a private, exclusive club" and noted the resulting loss of the "city's celebrated counterculture" as being replaced by condominiums. The avant-garde and the iconoclasts are receding. Courtney Fink, Executive Director of Southern Exposure, recently observed that despite the influx of sudden new wealth, the gap between small and large nonprofits has only widened. "Some key smaller artist-focused organizations are now trying to function on less than $300,000 a year, while SFMOMA undergoes a $555M expansion." 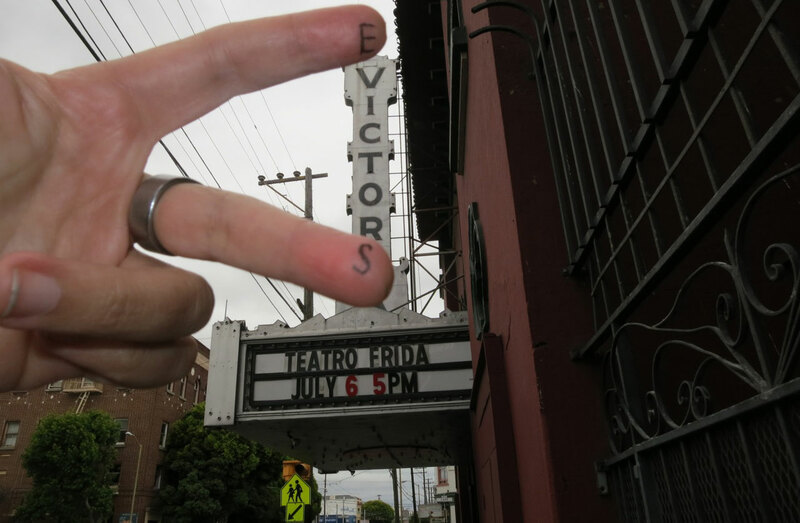 Like many in the art community, Fink recently received an Ellis Act eviction on her rental apartment in San Francisco. Due to real estate escalation, she is anticipating leaving for the East Bay after nearly twenty years in the city. To understand how these shifts have wider implications, consider the ripple effects of Fink's contributions within and beyond San Francisco to see what is potentially lost when creative people are forced to leave. Alternative Exposure, the regional re-granting program Fink initiated between Southern Exposure and the Andy Warhol Foundation for the Visual Arts, has funded $421,000 to 120 Bay Area alternative art endeavors since its inception; it has also served as a model in five other cities around the country, including Kansas City, Chicago, and Houston, and has distributed more than a million dollars in grants to nearly three hundred projects nationwide. I was a recipient of an Alternative Exposure grant in 2008. Last year I was one of three jurors to select grantees. The grant is the only one of its kind in the Bay Area that regularly funds new, experimental models of cultural production, annually distributing record amounts of funding in the midst of local economic changes and dwindling resources for artists. It is difficult to imagine the community without the support this program has provided. And yet, the director of the organization that has pioneered this grant can't afford to live in the city. "More than 75% of the projects we fund with Alternative Exposure are now East Bay based. 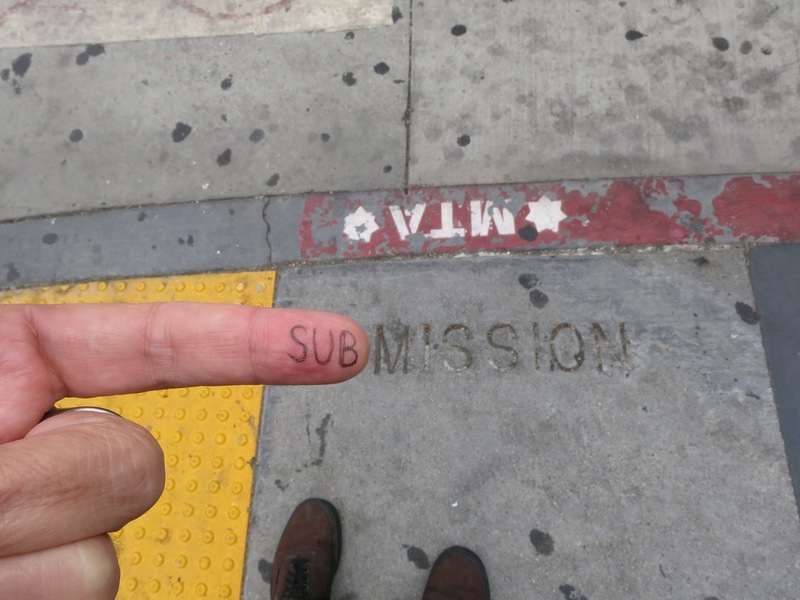 Artist run activities can't thrive in San Francisco anymore. The proof is in the absence of affordable space." As the repercussions of these changes gain momentum, art and culture are rapidly diminished. Many have shrugged off stories of artist evictions, or gallery closings, or nonprofits going under. "Get over it. Change happens," is the common refrain of the indifferent. At issue here is more than just change, but rather how change forecasts the future. 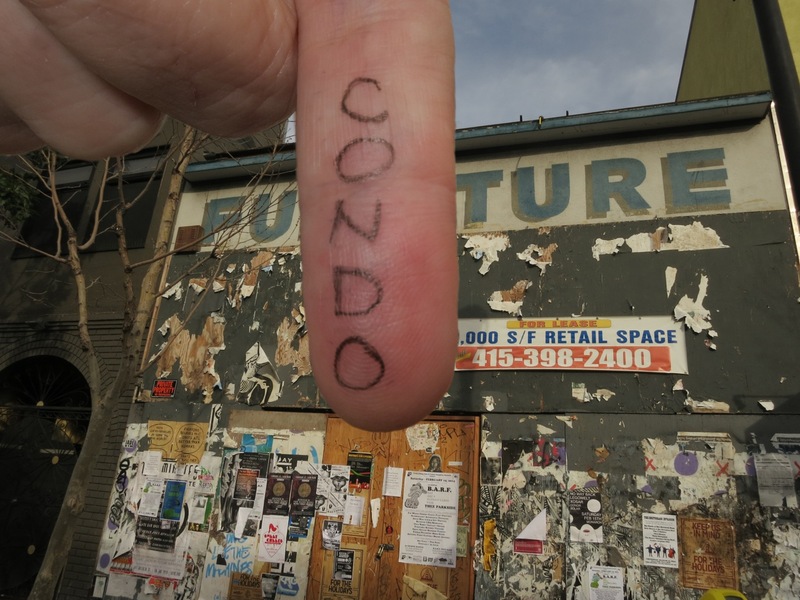 "The city is now showing the symptoms of edging out culture after so many spaces have closed. How will artists, or students, or philosophers, or anyone who doesn't participate in the technology economy ever afford to live here?" asks Arcega. "What will San Francisco be like in ten years, if we continue on this trajectory?" At the rate things are going, it isn't hard to imagine San Francisco without artists or a grass roots art scene, even though it should be unfathomable. All images courtesy of San Francisco-based artist Mitche Manitou, whose series SUBMISSION was recently featured at alternative space Right Window Gallery in the Mission in February 2014. Editor's Note: The original version of this story reported that the 77 Geary galleries were evicted and was corrected to say that they were priced out; it was also corrected to clarify that The Thing Quarterly relocated after losing their lease.